A distinctive variety with long tapered roots and bright red skin. 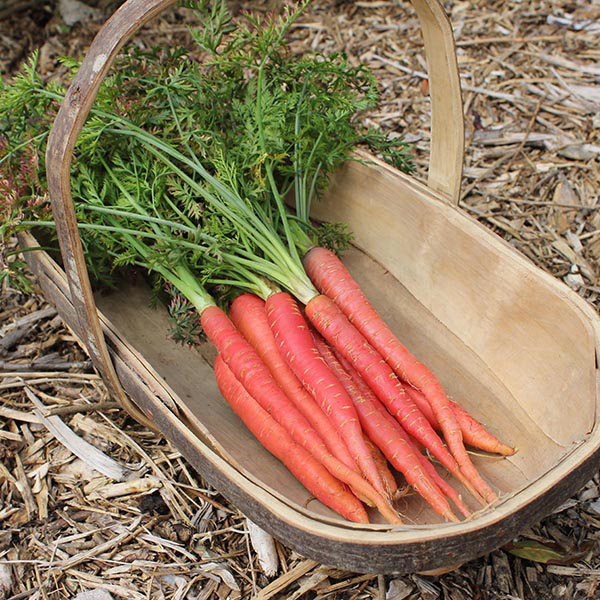 The carrots are crisp and full of flavour, with sweet pink inner flesh, they hold their colour well during cooking. Easily sown direct in the garden. Sow little and often for a continuous crop. Treats up to 60m² or up to 16 trees.